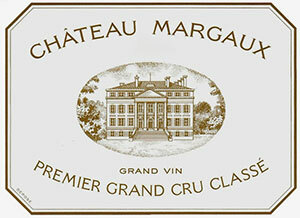 The elegant 2007 Chateau Margaux’s purity, depth of fruit, and overall equilibrium are impressive. A dark ruby/purple color is accompanied by notes of spring flowers, black currants, and blackberries, a soft, lush, medium to full-bodied mouthfeel, and delicacy allied to impressive depth, texture, and length. Already drinkable, it should continue to offer exceptional pleasure for 15 or more years. Tasted at BI Wine & Spirits' 10-Years-On tasting, the 2007 Chateau Margaux was just missing a little intensity on the nose compared to the other First Growths: scents of incense and iris, blackberry and tobacco, perhaps just missing the floral nature of other vintages. The palate is well balanced with supple black fruit laced with graphite and tobacco, fully matured but clearly with sufficient substance to last another 15-20 years. It is a capable Château Margaux, although frankly it does not put enough distance between itself and its Margaux peers, yapping at its heels. Tasted February 2017.